Light and shade, this F1. Light and shade. And rarely can it have been more markedly the case than in today's Bahrain Grand Prix qualifying session. Not merely either because it is one of the few run under artificial illumination. The notorious flopped qualifying format did no better than when it debuted in Melbourne two weeks ago, as everyone worth listening to said it wouldn't. The long spells of empty track; cars being eliminated while sat in the garage; that the final grid was not the jumbled one that the system was designed to create. All were repeated pretty much exactly as in its excruciating first outing. Albert Einstein's definition of insanity - of doing the same thing and expecting different results - was quoted endlessly. Surely now we'll never see its like again. But in another repeat of a fortnight ago the awful system at least provided a worthy pole winner. In fact it did so even more emphatically than then, as the lap that took it was as extraordinary as it was unexpected. Just like then Lewis Hamilton won out. Unlike then this was one taken against the head. All weekend Nico Rosberg appeared a beat or two ahead of his Mercedes stable mate Lewis. 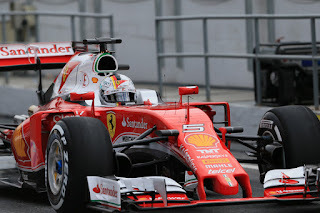 Then in early Saturday practice Ferrari, having hidden its light the day before, suddenly got with the Mercs, something the two red cars made good on also in the qualifying session itself. Often sector time comparisons around the Sakhir circuit between the quartet in silver and red were near enough identical. Then in their first goes in the vital Q3 part Lewis made it a little harder still for himself, ending up fourth from those four after getting the final corner very wrong, with Nico again emerging on top. All four went again but this time Lewis whizzed round with an astonishing 1m 29.4, some four tenths under Nico's previous mark. Nico followed and made a big improvement of his own but still was just under a tenth shy. From nowhere therefore Lewis had seized top spot for tomorrow's grid. And the best explanation for it was also the most simple - Lewis had pulled a rabbit from the hat. 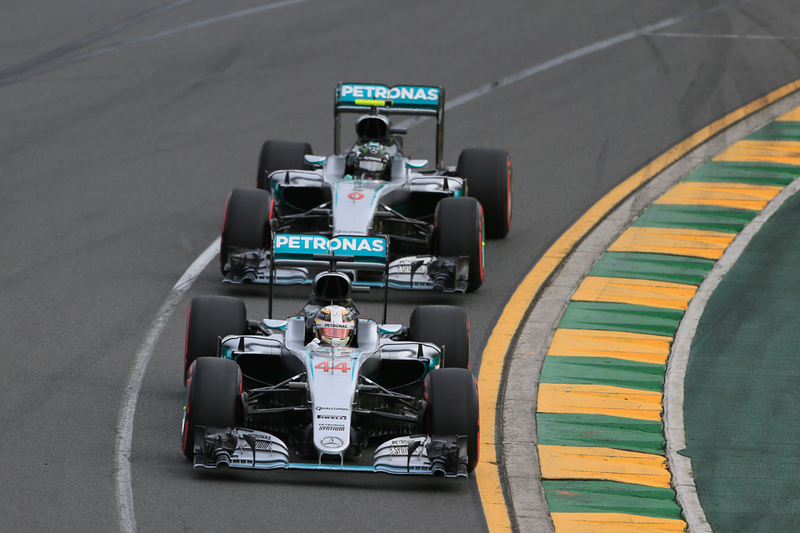 "It's obviously not been a smooth-sailing weekend in terms on pace", said Lewis afterwards. "Nico's been right on it all weekend. I generally was struggling to put laps together. Luckily the one lap that I did put together was the last lap, that probably was the only lap of the whole weekend so far..."
Nico indeed concurred on the simple explanation, that Lewis's lap was simply spectacular. 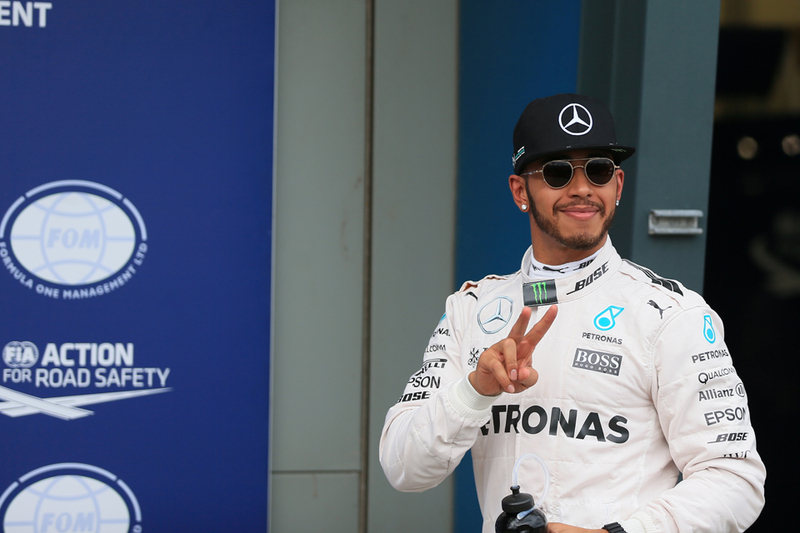 "I think Lewis just did a great lap in the end" he said, "my lap felt good and I was actually sure I was on pole!" This one will matter to Lewis also, as given Nico has won the last four rounds he will not at all have enjoyed his team mate's creeping sense of momentum, that pole position would only have added to. And in many ways on his final run Lewis was walking a tightrope without a safety net. But if there's any driver in modern F1 you'd back to ace it to save your life in such a position it'd be him. And Lewis was suitably exultant. "It does mean a lot" he added later, "it felt just like my first pole...I nearly lost my voice [on the slowing down lap]". While in so doing Lewis also set the fastest F1 lap seen at this circuit, beating even the best mark set in the V10 era. Modern F1's engine spec is another aspect that has had its share of controversy attached. But with this too there are things that are good about it. We're all in the gutter, but some of us are looking at the stars. "It's quite incredible to think that we are quicker now, than the V10 days," Lewis went on, "it shows how far technology has come". Nico nevertheless looked upbeat and reckoned he still had a good chance tomorrow. "This track, it's one of the tracks where pole counts least" he insisted, "because lots of things can happen in the race and strategy and everything tomorrow can be quite messy, so there's still a lot of opportunities". "Ultimately I actually set my car up for the race, that's why I think all weekend I've been struggling a little bit more perhaps than Nico, so I hope that shows in the race". As mentioned the grid had a rather standard look despite the fun in getting there. After the all-Merc front row there is an all-Ferrari second row. Sebastian Vettel starts third again and was pleased with his slot although by his own admission the final margin to the front - of over half a second - is more of a concern. "Nevertheless the car felt great and hopefully we can carry that into the race". Hope indeed springs eternal for Ferrari just as for Nico tomorrow, as there are many reasons to expect the Ferraris to come on stronger then. 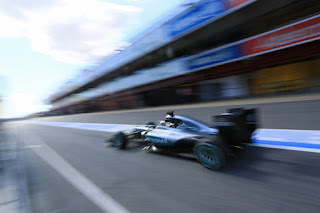 Particularly if they get the jump on the Mercs at the start as they did in Melbourne. Murmurs continue to circulate of that not being mere luck and that the Scuderia has a more aggressive torque map for the launch. "I don't know how much they [Mercedes] were satisfied with their starts [in Melbourne]," Vettel went on. "It depends whether they know what to fix...if they just had a bad start or if we're really that much better. I hope we were, but looking on average last year we were pretty much the same". Daniel Ricciardo just as in Melbourne's race was best of the rest today outside the imperious front four, this time taking fifth place on the grid after a lap that was sufficient for him to whoop with delight on his cool down lap. He was three tenths up on the Williams pair, with Valtteri Bottas pipping Felipe Massa despite only the latter having the team's new nose and front wing. All were pleased with their efforts, albeit in the sense that no higher was ever likely. As most had predicted McLaren's fine Friday form wasn't replicated as all others cranked things up when it mattered. It transpired too that talk of a Q3 appearance by a Woking car also was outlandish, as P12 and P14 was the best the pair could do. 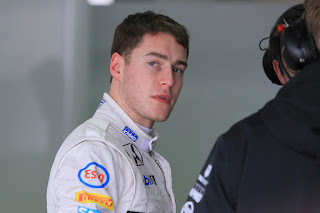 Perhaps of greater importance stretching ahead though is that it was the young super-sub Stoffel Vandoorne that was the faster. Jenson Button probably greeted the news of Fernando Alonso's forced benching this weekend with the same enthusiasm that Nando himself did, as it meant a very public comparison with the young whipper-snapper most assume will sooner or later replace him. The implications of being beaten by him, particularly in that he hopped into the car at a moment's notice, were fairly obvious in advance. In fairness though Jenson looked well up on Vandoorne right until the vital final Q2 laps, when Button said he got "for no reason at all massive oversteer". He'll more than most be keen to re-assert himself over his team mate tomorrow. Another youngster to perform well was Pascal Wehrlein, who managed to bag a rather elevated P16. In doing so he caused something of a surprise in nudging out Sergio Perez early, who'll now start P18. The Force Indias tend to go well here too. Not as well as the Mercedes tends to go however. Or, when it really mattered, Lewis did.